To move toward that goal, today we’re pleased to announce the launch of the International Principles on the Application of Human Rights to Communications Surveillance. The thirteen principles articulate what international human rights law – which binds every country across the globe – require of governments conducting surveillance in the digital age. They speak to a growing global consensus that modern surveillance has gone too far and needs to be restrained. They also give benchmarks that people around the world can use to evaluate and push for changes in their own legal systems. 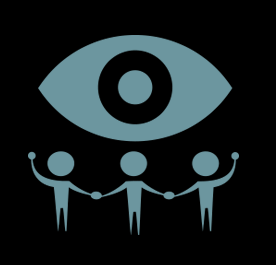 The product of over a year of consultation among civil society, privacy and technology experts (read here, here, here and here), the principles have already been co-signed by over hundred organisations from around the world. The process was led by Privacy International, Access, and the Electronic Frontier Foundation. The principles can be found in full at necessaryandproportionate.org. They include requirements that surveillance law ensure all interceptions be legal, and for a legitimate purpose; necessary, proportionate and adequate; be overseen by a competent judicial authority; include transparency, user notifications, public oversight and due process, protect the integrity of communication systems, and include human rights safeguards against illegitimate access and the misuse of co-operation procedures between States. The release of the principles comes on the heels of a landmark report from the United Nations Special Rapporteur on the right to Freedom of Opinion and Expression, which details the widespread use of state surveillance of communications, stating that such surveillance severely undermines citizens’ ability to enjoy a private life, freely express themselves and enjoy their other fundamental human rights. And recently, the UN High Commissioner for Human Rights, Nivay Pillay, emphasised the importance of applying human right standards and democratic safeguards to surveillance and law enforcement activities. “While concerns about national security and criminal activity may justify the exceptional and narrowly-tailored use of surveillance programmes, surveillance without adequate safeguards to protect the right to privacy actually risk impacting negatively on the enjoyment of human rights and fundamental freedoms”. Over the next year and beyond, groups around the world will be using them to advocate for changes in how present laws are interpreted and how new laws are crafted.